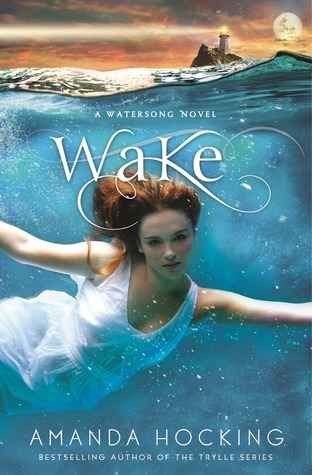 Lullaby (Watersong, #2) – the second book in the Watersong series follows Harper and Gemma as they go even deeper into a dark new world. All three books in my Trylle Trilogy – Switched,Torn, and Ascend – were originally self-published, but were re-released with St. Martin’s and Pan Macmillan internationally with new bonus content in early 2012. The trilogy has also made the USA Today Bestseller list, the New York Times Bestseller list, and was recently optioned for a film by Media Rights Capital with District 9 screenwriter Terri Tatchell adapting the books for screen. This entry was posted in Book Tours and tagged Amanda Hocking. Bookmark the permalink. experiencing some minor security problems with my latest site and I’d like to find something more secure. Do you have any suggestions? to you and your order will be delivered within the given time limit. 13) Chain Giants like Domino’s and Papa Johns spend 90 percent of their advertising budget for TV commercials. Finally, don’t forget to include seated dumbbell presses in your routine. Overall, the best adjustable dumbbells will be those that best fit your exercise goals and your budget. Dumbbells are an irreplaceable asset to any home gym, but a set of adjustable dumbbells will save you a ton of space and money over buying 15 different sets of incrementally weighted dumbbells. parts that you should be paying special attention to. It is also cheaper as compared to gas powered chainsaws. The fast food business is a fast growing and very challenging means of entering the market. A good place to explore and share all the gastronomic delights of India is the Khana Khazana website. making re ordering just a click away.